Military games have been popular since the advent of chess. Strategy, military role playing, and the ability to kill and be killed with the benefit of a restart button is definitely a highlight. Without a doubt, gamers are probably the most discerning people on the planet. They find every cheat and learn all the nuances in adrenaline inducing sagas that have left many a controller smashed from sheer frustration. Gamers know what they like and don’t like and have no problem being vocal about either. Military and shooter games tend to have a broader spectrum of players: from teenagers to salty old veterans. There may be heated debates about the top ten military videogames of all time, but whether you agree or disagree, any die-hard military gamer will recognize them all. We’ll work our way from number ten to our first choice. 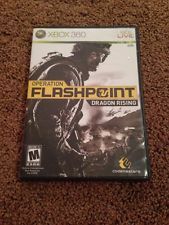 Operation Flashpoint Dragon Rising is an FPS that uses real world military in a fictional background. You will need patience and some tactical skill to enjoy this game. The premise is mass unemployment and economic destabilization in China, and a new oil reserve found on the island of Skira. Russia asks the U.S. for military assistance and the Marines are called to action. Their success could avert another world war. The two man tactical (mercenary) team of Rios and Salem. Okay, it’s not technically a military game but it lands on the top ten of all time because it uses military tactics and puts you in some military hot zones. Whether you are playing with another human or your AI, in situations where you’re surrounded it’s really neat to see back-to-back manoeuvers or being dragged to cover and getting medical help from your partner. 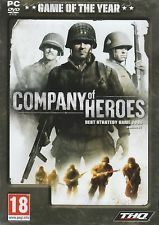 Set in World War II, Company of Heroes is rated M because of the language and violence. Well, this might be an oxymoron for a military shooter game except the depictions of scenes like storming Normandy beach is pretty graphic: bodies flying with artillery hits and such. You either love or hate the micromanagement skills required in the game. The RTS allows the player time frames to collect of fuel, manpower and munitions but the AI is well-thought because your units run for cover and take necessary action in combat situations. When released in 2006, the liberal profanity might be compared to the original Grand Theft Auto – kind of shocking at the time. 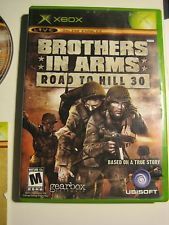 There are three main installments of the Brother In Arms series: Road to Hill 30, Earned in Blood, and Hell’s Highway. Loosely based off the TV series, Band of Brothers, we’re going to include all three because they compliment each other. You follow the 101st Airborne Division in their missions throughout WWII. It brings frontline realism through tough opponent AI and destructible environments. Among the games you may recognize revisited characters while they add new ones. It gives the series great cohesive power and maintains the reality of having troop members cycled in and out of your division. As the leader of Rainbow Six, you are tasked with fighting terrorism. A realistic FPS, you get more points for being covert instead of killing your opponent. Missions include rescuing hostages, gathering intel, and covert operations. Rainbow Six tends to be all or nothing and the AI is a little tricky. Getting shot generally means bleeding out and it’s up to your team to complete the mission without you. If the hostage is killed it’s game over too. Expect to replay missions several times before it’s accomplished but hey, as gameplay goes it’s about as close to life but with the ability to go back and try again. A tactical shooter game, current players are saddened by the absence of the online, multiplayer game option. By all accounts we’re hoping for an updated HD version. What is the draw? Single player mode is challenging and there is a broad selection of weaponry. The hook is the tactical aspect. You cannot run hellbent into action, get yourself shot up and wait for your health to regenerate. In SOCOM II there is appropriate damage or injury: a chest wound is near fatal where a leg wound has less damage. You have to put some thought into your mission. If you like sniper games then this is definitely one game that is highly recommended. Imagine calculating the bullet trajectory and drift! A savvy ARMA player will swear it’s a simulator rather than a standard FPS. Creating your own squad on a private server is another great option because it keeps the newbies out while you make a cohesive group. There is a bit of a learning curve but you get to control the movement. Unlike CoD, you can lean around a corner and plan your next move. There is a certain amount of realism so don’t be surprised if you see the servers crawling with active and inactive military. The combat authenticity is both a benefit and curse for this game. 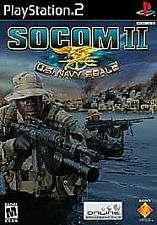 Taken from real world events, the player takes on the role of an elite Tier-1 soldier, from Seals (U.S.) to Spetsnaz (Russia), and becomes immersed in genuine situations with real and probable outcomes. The story is based from real-life experiences, like that of a soldier deployed for many years who comes home to a broken family and realize family and freedom is worth fighting for. Intended to pay homage to combat soldiers worldwide, this game is gritty and raw. It is perhaps why gamers are so split on their reviews of this game. 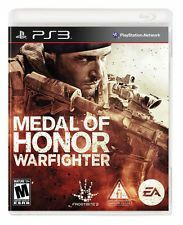 We have no problem paying respect to our soldiers so Medal of Honor: Warfighter definitely holds its own in the top five. We would be seriously remiss if the Call of Duty franchise wasn’t near the top. It falls just short of top honors because – well – they’ve had a few missteps along the way. It was a healthy debate whether to put Modern Warfare in the one or two spot. 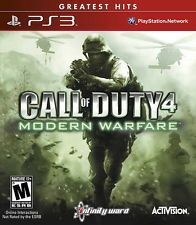 Call of Duty 4: Modern Warfare boasts advanced weaponry, quality graphics and sound. There is an interactive community and you have the ability to unlock perks and earn rank. The biggest complaint is how short the single-player campaign is – but that’s what your CoD buddies are for! Single and multi-player options in this amazing FPS (first-person shooter) game takes B-Company through dense jungles to snow-capped mountaintops: their intention – to destroy anything in their way. The eight super-sized maps in multi-player function allows up to 24 players to create a strategy and implement team-based tactics to bring the enemy down. Destructible environments give you two advantages: 1. Create a hole in your cover for unique sniping vantage points and 2. Your enemy has no place to hide because you can blow their building to smithereens. 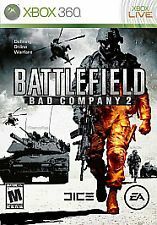 With helicopters buzzing above and intense action, Battlefield: Bad Company 2 rates #1 on the list. What are your thoughts? What is your favorite military video game of all time? 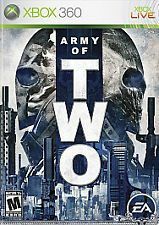 Army of Two and Battlefield: Bad Company 2 were some of my favorite games to play. I hated Call of Duty – insanely unrealistic and arcade-like. Popular amongst ten year old’s for a reason. But the two games listed above (and all of those on the list) are significant and worth playing – and they’re actually fun! Never played any of those games, but they sure do sound fun. What, no Combat for Atari? I've only played a few games on this list. 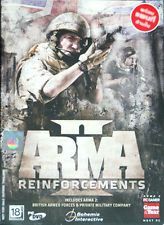 I was a bit too old for most of these and I found myself not liking military FPS as I got older. I do enjoy strategy games though, and I feel those have even occasionally helped me in my military life by making me think outside the box. My favorite military video game is probably Contra, an old Nintendo game. Thanks for the tips, Meredith. My husband is an avid gamer, and he loves military strategy games. Unfortunately, I am not so much a gamer and have no idea where to start or who to ask when looking for gifts for him on his birthday or Christmas. The only game that I have bought him is Call of Duty. He likes that one. He should also like the Tom Clancy one (he is a huge Tom Clancy fan). I will keep your recommendations in mind and hopefully he will be happy. My kids are totally addicted, Faye. If I had the time I would probably take over the game console but I’ll be honest – Tetris is more my speed. The graphics and 3D plus getting used to the controller takes practice – a lot of practice (especially if you aren’t 15 anymore). Of course, if you’re going to take up gaming, try starting off ALONE and out of ear/eye shot of your hubby because he’s going to razz you or take over the controller to “show you how it’s done.” A lot of these games have story modes and you play against the AI (artificial intelligence) so you don’t have to worry about a field full of “vets” yelling “nube” at you. It’s TOUGH in some of them forums! To be quite frank with you, I have not played ANY of these military video games. I am not a gamer. The last military video game I played was Contra, from the original Nintendo Entertainment System. 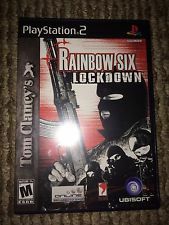 I loved that game and played it all the time as a kid. What I do know (from my friends) is that modern technology is pretty amazing and these games are all VERY realistic with great graphics. Maybe when I get some free time in the future I will get a gaming system and try out a few of these military video games. Be careful with opening pandora’s box, Chuck. Some of these games are VERY addicting – especially if you get online with some like-minded folks. Before you know it hours (days) have passed. Believe it or not, my son got an “A” for a paper he wrote on weapons based solely on Call of Duty 4. I couldn’t believe it until I sat down and googled the weapons in his arsenal. If you are looking for crazy realism then MoH: Warfighter is definitely the game. This list is very subjective. I think the list is good, but I’ve never played any of these games. I haven’t played video games in almost 25 years.